Premier Properties manages one of the most unique facilities available for all business and social occasions on the Eastside. 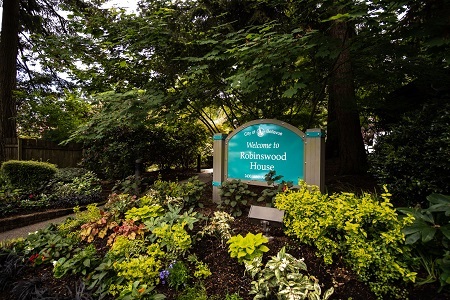 The Robinswood House is set in Robinswood Park; two minutes from the I-90/405 interchange in the Eastgate area of Bellevue. Easily accessible from all areas of the Eastside and downtown Seattle. This historically significant property has multiple meeting rooms and is equipped with all of the amenities essential for successful and productive conferences, meetings, and events. A portion of your rental supports our public parks. All of our meeting spaces offer complementary wireless internet. Premier Properties provides services ranging from all-day coffee to four-course meals and social hours. Our venue is perfect for off-site company meetings, teambuilding and executive retreats, employee training sessions, corporate picnics, holiday parties, Celebration of Life gatherings and many other special events. For more information please contact us Monday - Friday 9am-4pm.